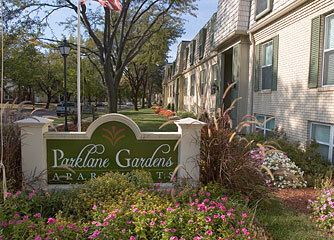 You'll fall in love with our newly remodeled apartment homes. Our new renovation features 10 different floorplans with soft taupe walls, crisp white woodwork, honey maple cabinetry, "tuscan marble" formica countertops, all new appliances, including self-cleaning range and microwave, energy efficient windows with white plantation blinds. A peaceful courtyard surrounds our clubhouse and refreshing pool. The clubhouse is a gathering place for residents and friends, also the setting for many of our monthly resident activities and special holiday parties! Located south of Lincoln on Bleckley Drive, in the heart of a lovely, tree-lined neighborhood... An unexpected pleasure awaits you!